Toyota RAV4 Service Manual: Crankshaft position sensor "A"
Toyota RAV4 Service Manual / 2Az-fe engine mechanical / Sfi system / Diagnostic trouble code chart / Crankshaft position sensor "A"
The crankshaft position (ckp) sensor system consists of a ckp sensor plate and a pickup coil. The sensor plate has 34 teeth and is installed on the crankshaft. The pickup coil is made of wound copper wire, an iron core and magnet. The sensor plate rotates and, as each tooth passes through the pickup coil, a pulse signal is created. The pickup coil generates 34 signals per engine revolution. 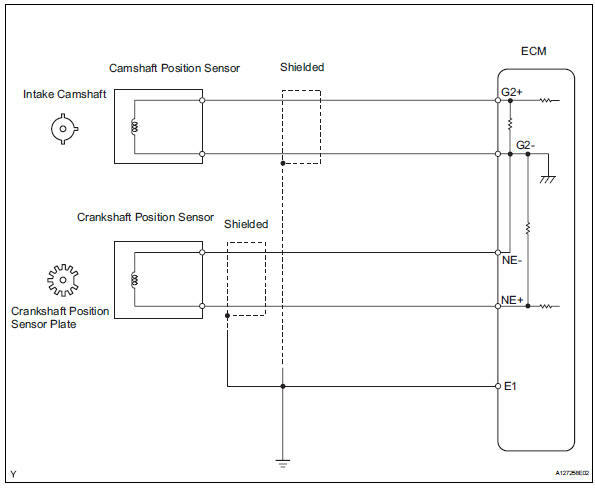 Based on these signals, the ecm calculates the crankshaft position and engine rpm. Using these calculations, the fuel injection time and ignition timing are controlled. 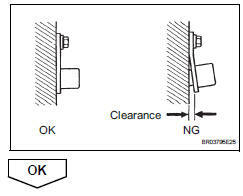 G2+ stands for the camshaft position (cmp) sensor signal, and ne+ stands for the ckp sensor signal. If there is no signal from the ckp sensor despite the engine revolving, the ecm interprets this as a malfunction of the sensor. If no problem is found through this diagnostic troubleshoot procedure, troubleshoot the engine mechanical systems. The engine speed may be indicated as zero despite the engine revolving normally. 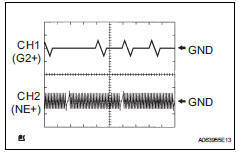 This is caused by a lack of ne signals from the crankshaft position (ckp) sensor. Alternatively, the engine speed may be indicated as lower than the actual engine speed if the ckp sensor output voltage is insufficient. Read the values displayed on the tester while the engine is running. Standard: correct values are displayed. To check the engine speed change, display the graph on the tester. If the engine speed indicated on the tester remains zero (0), there may be an open or short in the crankshaft position (ckp) sensor circuit. 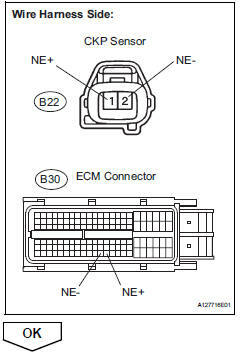 Disconnect the b22 ckp sensor connector. Terms cold and hot refer to the temperature of the sensor. Cold means approximately -10 to 50°c (14 to 122°f). Hot means approximately 50 to 100°c (122 to 212°f). Reconnect the ckp sensor connector. 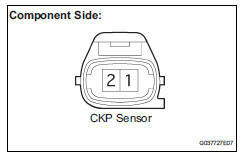 Check the ckp sensor installation. Ok: sensor plate does not have any cracks or deformation.